Professional And Reliable Computer Support For Accounting Firms In NJ & NY. Important: The IRS has recently alerted tax professionals to an emerging phishing email scam that pretends to be from tax software providers and tries to trick recipients into clicking on a bogus link. If you have clicked on a malicious link, or are suspicious of malicious activity on your computer, please give us a call at (973) 882-4644. Accounting and financial firms have to meet specific requirements that ensure the proper handling and security of sensitive data. To protect your clients’ privacy, sensitive data must be secure and protected. Financial professionals need constant access to their computer systems, and these systems must be reliable, updated, and fully integrated. Quikteks provides exceptional IT services to CPA and financial firms by resolving technology-related issues, quickly and efficiently. We understand the financial industry and are aware of the constant demands that it places on technology. Let Quikteks handle your IT so you can focus on serving your clients! No matter what activity you are undertaking, from analyzing financial data to complicated tax returns, you are relying on some type of technology to accomplish your task. What would happen if that needed technology suddenly stopped working? If it became infected with a virus or malware, what would you do? Quikteks is here to make sure this type of problem does not affect your ability to work. Accounting and financial firms today must meet the security and confidential demands of their clients as well as regulartory laws such as the Sarbanes-Oxley Act. If a client’s private data is leaked or compromised in any way, the firm responsible would potentially face stiff legal penalties and damage it’s reputation. Quikteks can help financial professionals protect their clients’ sensitive data. 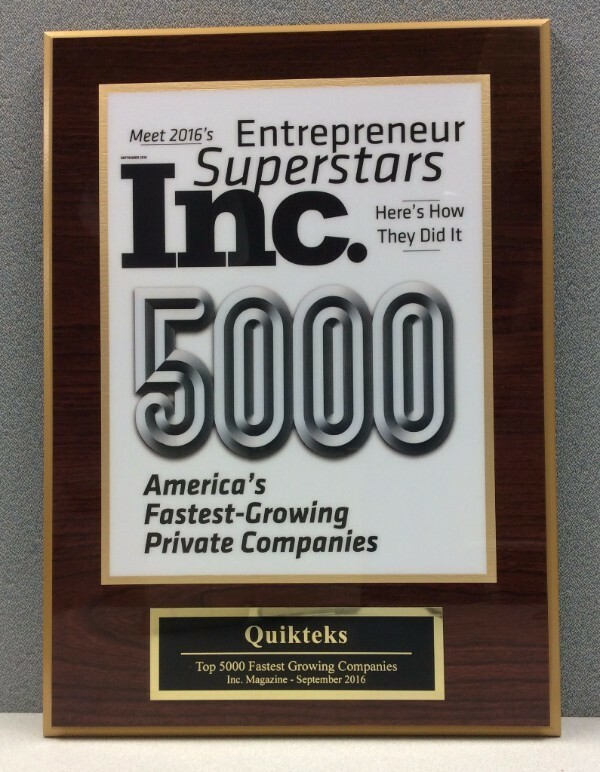 Quikteks Managed Service means that your system is constantly being monitored for potential problems and threats. We have the experience and skills to seamlessly integrate data security and best practices into your organization. Learn more. We’ve earned our awards through hard work and exceptional customer support. View awards. Fill out the form below to get an honest quote. We will get back to you shortly.